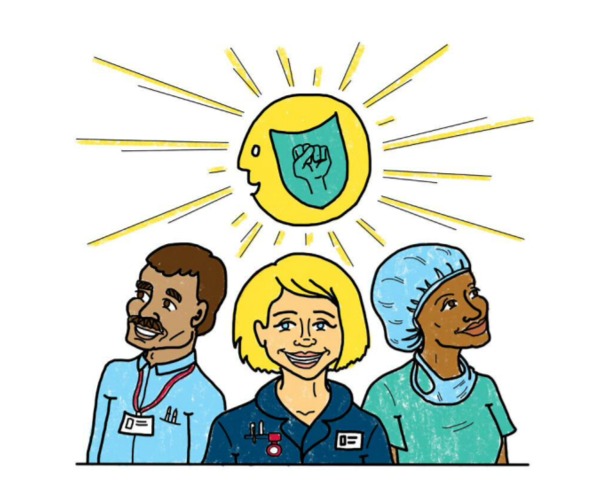 Health Education and Improvement Wales (HEIW) has developed practical tips to help NHS Wales staff build resilience, manage stress and support each other. In collaboration with DNA Definitive, Dr Mark Stacey, Associate Dean New Initiatives at HEIW and Consultant Anaesthetist, has developed a visual toolkit called the ‘Baker’s Dozen of Mental Toughness’. The toolkit will help NHS staff to overcome the ever-increasing pressures of modern life. Dr Stacey’s resources were originally developed to help doctors manage stress and maximise their performance. However, these useful tools can be adapted to suit all individuals to help us prioritise our own health and wellbeing, and support each other at home and in the workplace. Some of the key themes in Dr Stacey’s toolkit centre around mindfulness, regular physical exercise, healthy sleep patterns, changing perspectives and the importance of learning new things. When practised regularly, many of the techniques are preventative and by incorporating them into our daily routines we are teaching ourselves how not to become overwhelmed by stress. As Dr Stacey explained: “It’s about recognising concerns and stress triggers and learning which tool you can use to overcome them. Some techniques will work better for you than others. “We each have a choice about how we deal with problems. One technique that has worked for me for years is to learn to see problems as challenges, not threats. See how Dr Stacey’s stress management techniques can help you by visiting the ‘Baker’s Dozen of Mental Toughness’ and his recommended further reading and resources are available here. Providing practical help and advice to support the health and wellbeing of colleagues across NHS Wales aligns directly with the ambitions for health and social care set out in section four of ‘A Healthier Wales’. In collaboration with Professor Andy McCann from DNA Definitive, Dr Mark Stacey runs MedTRiM, a pro-active resilience course which is designed for health professionals.